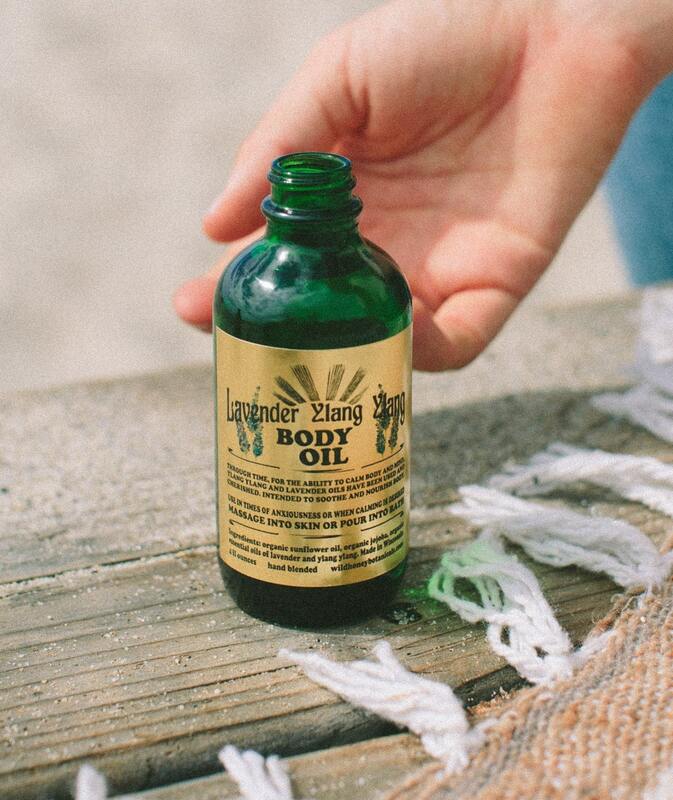 Nourish your body and spirit with organic Lavender and Ylang Ylang Body oil, for bath or massage. Lavender has been used for thousands of years for its ability to relax and soothe mind and body. Ylang ylang has been cherished to instantly banish anxious feelings. This is an ideal blend times of stress or for bedtime bliss. Organic Lavenders (Spanish and French), ylang ylang extra in a base of organic sunflower and jojoba. 4 ounce glass bottle -with dropper.